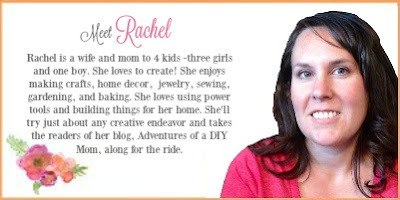 Hi, it's me, Rachel from Adventures of a DIY Mom. As I contemplated what to share with you all this month, I had a hard time deciding. For one thing, I like to do so many different types of things, it's sometimes hard for me to choose what type of project I want to tackle. Another reason is that I don't yet know what you would like. Do you like seasonal crafts? Or do you prefer decor that can stay up all year? Would you like to learn to build things? Or would you rather stay inside and sew something? Do you like to bake? Does jewelry making interest you? What about home canning or gardening? These are just a few of the things I like to do. What are you interested in reading more about? I really do want to write about things that are interesting to you. Please leave a comment with suggestions for future posts. I decided to share an easy jewelry project. I don't know about you, but jewelry making used to intimidate me. A LOT. My little sister used to make earrings to sell and one day I asked her to show me the basics. And I realized it's not as hard as I thought. Now, I'll admit, there are some crazy advanced jewelry techniques that I would love to learn someday, but I've got the basics down and today I'll share them with you. Today's DIY project is a simple pair of teardrop earrings that require minimal supplies and a very basic skill level. Anyone can make these. 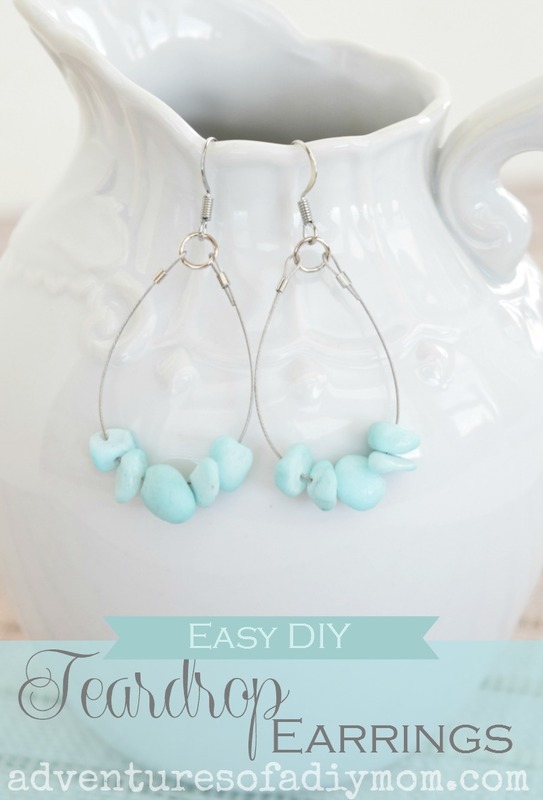 Want to make some easy teardrop earrings? 1 - Cut a piece of wire 4 1/2 inches long. 2 - Add a crimp bead to the wire, fold over the wire about 1/4" or less from end forming a small loop. Insert the small end of the wire through the crimp bead. 3 -Now it's time to flatten or crimp the bead. This will depend on what tools you have available. If you just have a few basic jewelry pliers, then you can just flatten the crimp bead with the flat-nosed pliers. If you have crimp bead pliers, then you will place the crimp bead in the "bumpy" notch of the pliers and squeeze. This will smash the crimp bead into a "U" shape. You will then squeeze again with the crimp bead in the round notch of the pliers. 4 - Add 5 beads to the wire. Change up the style, color, size or quantity of the beads to fit your style. 5 - Repeat steps 2 and 3 with the other end of the wire. 7 - Repeat all steps for second earring. That wasn't so hard, was it? 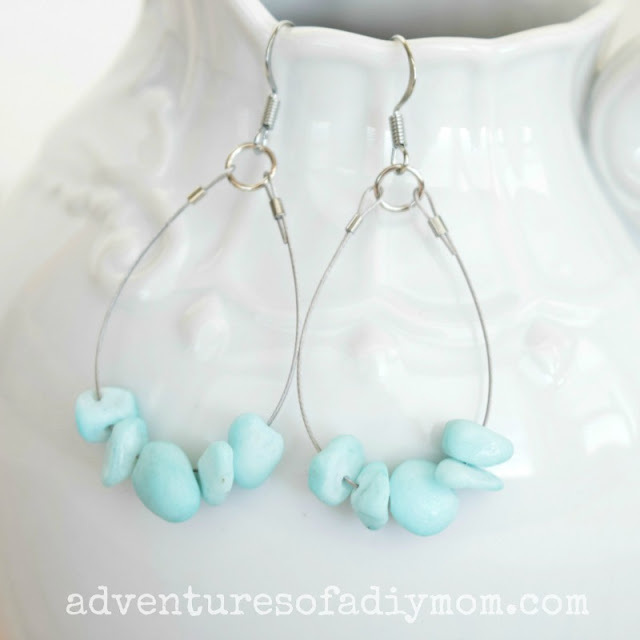 I've got over 50 jewelry tutorials of varying skill levels on Adventures of a DIY Mom. Come find your next project! Remember to comment and let me know what you'd like to learn. Very nice project. All the best.